When Mick Jones, Ian McDonald, and Lou Gramm first teamed up in New York City back in 1976 to form Foreigner, I'm pretty sure that they never would have imagined still sharing a stage some 40+ years later. 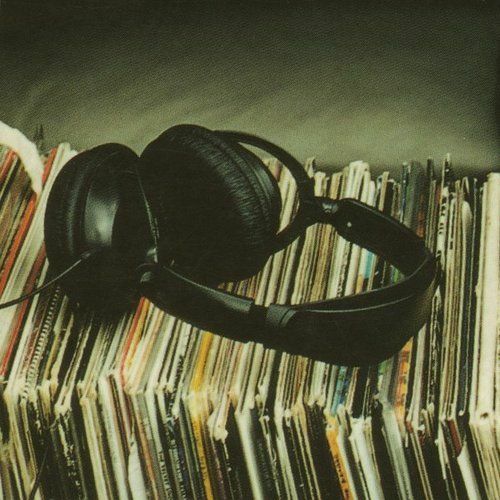 Serious health issues, growing pains, lineup changes, and internal strife have all played a part in the bands' evolution and temporary disintegration, but the music has always been much more powerful than all of those things combined. Foreigner's catalog is an overabundance of riches for any musician fortunate enough to be able to do it any sort of justice and no one understands this better than the band's original lineup. 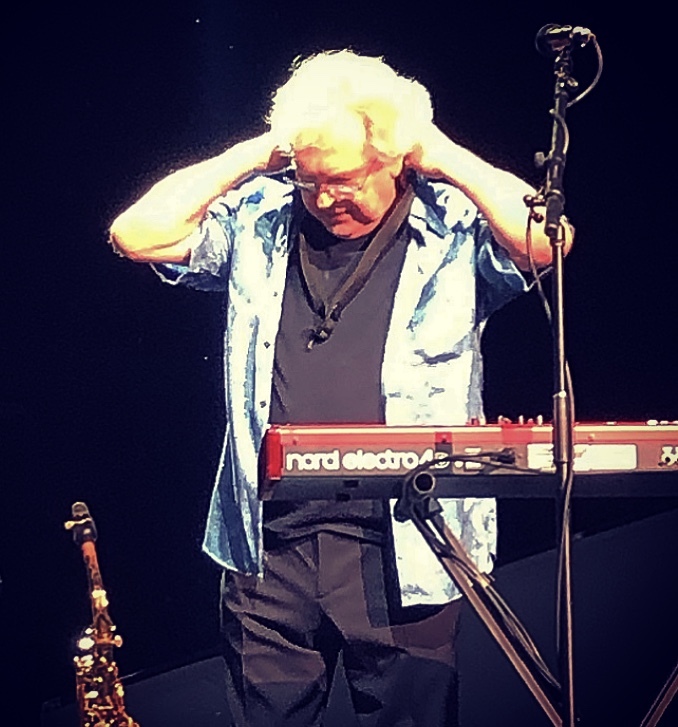 Seeing Mick Jones (lead guitar), Lou Gramm (vocals), Ian McDonald (guitar/sax), Dennis Elliott (drums), Rick Wills (bass) and Al Greenwood (keyboard) reunite for a select few shows this year has been a rare gift for classic rock fans young and old alike. 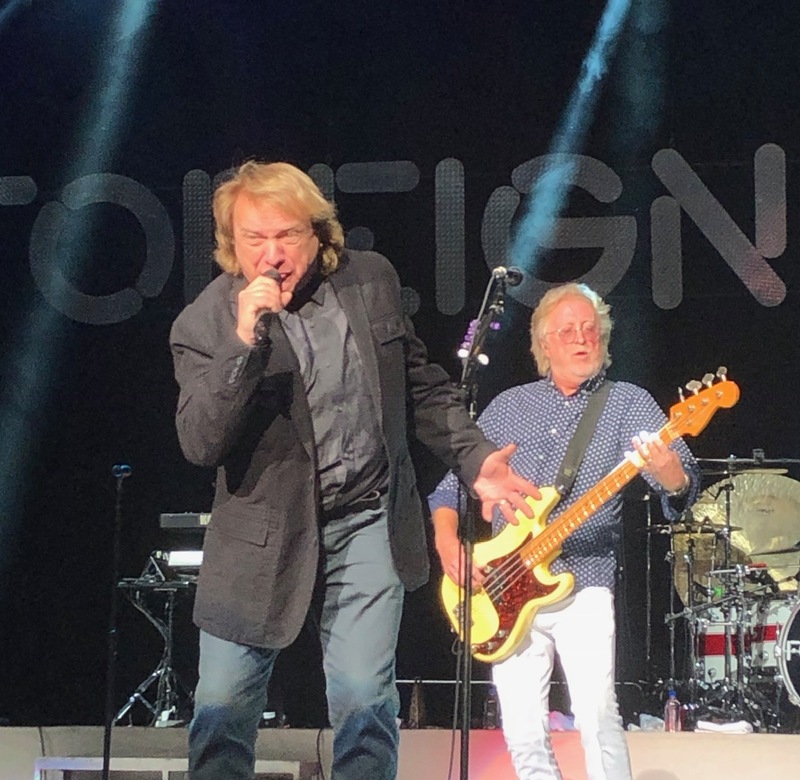 The Hard Rock in Atlantic City was one of only four shows slated for this year's Double Vision: Then & Now reunion and it really was a perfect balance of the original Foreigner members, with the current lineup. The first part of the show featured the latter with Kelly Hansen absolutely showing off his vocal range on hits like "Cold As Ice" and "Head Games" before pulling the sold-out crowd in with his intensity on "Waiting for a Girl Like You" and "That Was Yesterday". While Hansen is more than holding his own on vocals, the rest of the current lineup is an incredibly skilled group of musicians, all with decades of success before even venturing to set foot on a Foreigner stage. Bruce Watson was tapped to step in for Mick Jones during a medical emergency years ago and never left. He has earned his spot by being versatile enough to either play lead guitar his way or to accentuate the magic that Jones weaves as his right-hand man. 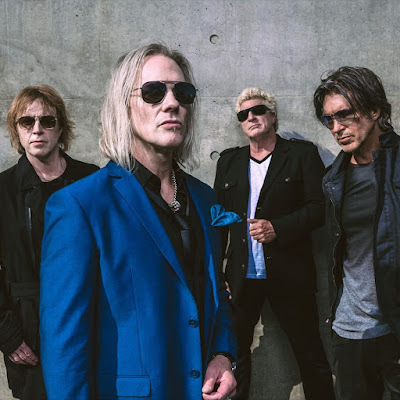 Jeff Pilson (interview here) spent years 'breaking the chains' with Dokken before joining Foreigner and he is an animal onstage. One minute he is literally headbanging right in front of you and the next he is already at the opposite end of the stage rocking out. His bass playing is a standout, even on the ballads and he often can be found working as the band's music director to make sure that their shows are seamless. Tom Gimbel (interview here or here) is one of, if not the most versatile musician currently touring. In any given song he might be playing rhythm guitar ("Head Games", "Juke Box Hero"), keyboard ("Cold As Ice", "Waiting For A Girl Like You"), or flute ("Starrider"). But his biggest moment is when he cracks out his saxophone to make "Urgent" the memorable piece that it is. 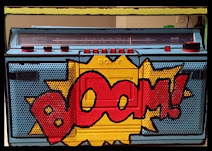 Speaking of keyboards, Michael Bluestein is quite an entertainer. He plays great and even from the back of the stage he always catches my eye with the way he pumps up and toys with the audience. It's so often mentioned that the drums are the foundation of any band and that certainly holds true for Foreigner. Chris Frazier has been the man behind the kit for the last seven years and he is the driving force that pushes this great band through songs like "Juke Box Hero". Once the current lineup finished their set in Atlantic City, Mick took to the stage to introduce the rest of the original members and you could tell that this was an audience raised on Foreigner. I was one of those kids back in the 70's spinning my dad's vinyl, so to see and hear the guys who actually played on those original recordings was pretty amazing. Less than a minute into "Feels Like the First Time" and it was obvious that this stage full of 70ish-year-old men could still rock. As long as Mick is breathing he will play like a guitar god and seeing him interact with Lou onstage felt like rare stolen moments that only a select few concert goers in this day and age will get to experience. Lou's vocals seem to be about the best that they've been in years and the Hard Rock audience's energy soared. 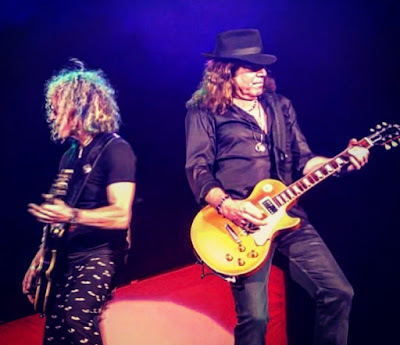 I got the feeling while watching Rick Wills on bass and Dennis Elliott on drums that they both could still be playing regularly with Foreigner if they chose to. They both helped the band barrel through "Blue Morning Blue Day" and "Long Long Way From Home" with such conviction that I really wanted to see what else they can still do. Multi-instrumentalists always intrigue me because they just have so much going on. 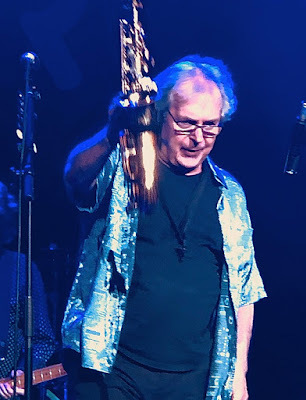 Ian McDonald is meticulous in getting himself together before playing and it made me so happy to see him have a bit of a sax solo complete with a bit of his own theatrical flair. The split setlist for the Double Vision: Then & Now shows is actually pretty perfect because it allows each generation to play to their strongest abilities. There was no better way to wrap up such a rare evening than by bringing all twelve musicians back onstage to perform "I Want To Know What Love Is" and "Hot Blooded". Foreigner already has a pile of dates booked for 2019 and rumor has it that some of those may turn into reunion shows as well. This fan can only hope that it's a rumor that turns into confirmed fact!